When choosing the right florist for your wedding or big event, think about who will be handling and designing all of your arrangements. 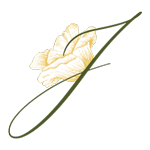 When you choose Floral Designs by Justine, you are supporting a small business and a big dream! You are supporting local cut flowers, handmade containers and perfected designs. I make sure that all designs are flawless before handing to you or placing on the tables.